Implementing a high-quality video monitoring system with the most up to date technology is what we do best here at Security Camera King. Whether your security and protection needs are related to small business, large corporations, private residences, or personal storage, Security Camera King has you covered. There is no job too big or small for our personal security techniques to handle. Our clients have come to depend on our excellence in customer service when developing a personalized plan to maintain vigilance with any type of video monitoring system chosen to watch over your property. Our trustworthy team of security tech professionals is there for you to choose the most appropriate products, the correct method of surveillance, and offers any and all advice on how to execute putting your video monitoring system into action. Your safety, protection, and peace of mind is our priority. Putting a price on personal security is a difficult endeavor for any one person to accomplish. 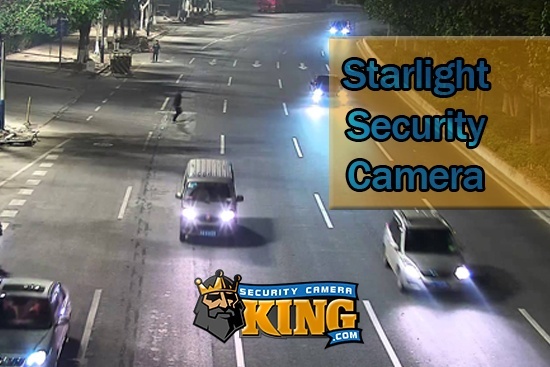 Security Camera King has the highest rated technology and equipment so that we can provide a multitude of advantages for your protection needs. A video monitoring system can be used for remote virtual security, greatly reducing the usual costs associated with personal or business security. Insurance companies also offer highly reduced rates after taking into account a video monitoring system setup. Any newly installed video monitoring system setup with Security Camera King comes with its own personalized plan in order to most accurately deliver the highest rating of protection for you. There are specific motion sensor options, depending on your video monitoring system camera. If you desire, you can block out certain areas of no concern to reduce your video monitoring system alerts, or you can even modify the sensitivity and have an e-mail sent directly to you at the slightest sign of trouble. Box Security Cameras: Box security cameras are commonly known as the original security camera design. Because of the variety of lenses available for this style, more light can be allowed in adding clarity when utilized in a large outdoor setting. Bullet Cameras: Bullet cameras, or sometimes called cylinder cameras, are our most weather resistant designs. Easily mounted and adjusted, bullet cameras are one of the best choices for a novice to personally install. Indoor Dome Cameras: Our indoor dome cameras are specifically designed to be used indoors. When weather resistance is not a factor, this is the camera to choose. 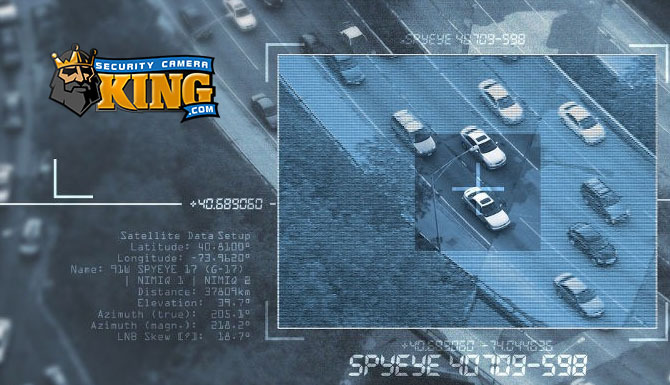 License Plate Cameras: License plate cameras can be tricky to properly capture the plate information in the specific way you desire. 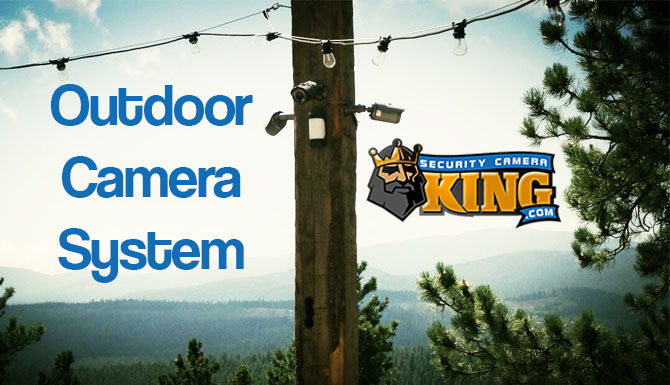 We highly recommend utilizing our competent team at Security Camera King to ensure you receive the most optimal design and setup for this specialized need. Pan Tilt Cameras: Pan tilt zoom cameras are for more versatile environments that need protecting. Unlike a more standard video monitoring system, the pan-tilt camera can spin and be adjusted remotely, also allowing the user to zoom in or out on whatever the camera eye is fixated on. Vandal Proof Dome Cameras: Lastly, we offer impact resistance vandal proof dome cameras for anyone concerned about vandals tampering with their personal video monitoring system. These cameras are made to resist any unwanted vandalism at your home or place of business. Each of these styles of security cameras offers a diverse variety of specific benefits. Please contact us to utilize our team of video monitoring system security professionals should you have any questions regarding which type of video monitoring system most suits your protection needs. 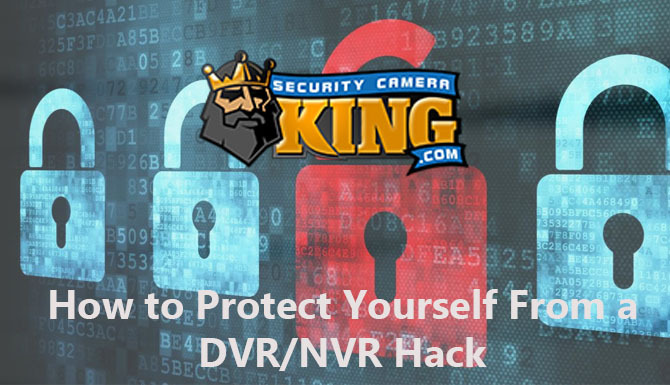 Security Camera King provides video monitoring system storage options and accessories to round out your personal security system. If you need something as small as a 32GB Micro SD Card or something as large as large as a 6TB Video Surveillance Series Hard Drive Storage, we have you covered. Our 1.5U or 2U ESATA Storage Device allows you to store either 4 or 8 hard drives together to ensure you do not run out of memory space while recording. This is a great alternative to recording over your previously used memory so that you may maintain your video monitoring system recordings for longer. In addition to the storage devices, Security Camera King has a plentitude of camera cables for each of our video monitoring system cameras as well as a large variety of lenses, controllers, and cable tools. We can also take care of any mounting pieces you might need. Security Camera King is comprised of a team of passionate video monitoring system professionals. Our website consists of any type of security camera need you develop for commercial, residential, personal, or private properties. This profession of introducing a video monitoring system to your location to ensure your personal safety and protection is what our company is all about. We are truly passionate about this industry and wish to pass along our knowledge of video monitoring system products and applications for your benefit. Contact Us at the link provided, and please allow our exceptional customer service to exceed your highest expectations.